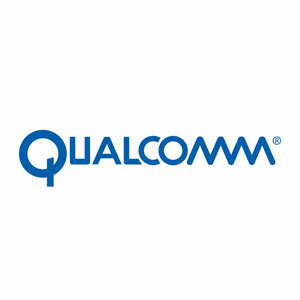 Qualcomm Incorporated (NASDAQ: QCOM) (“Qualcomm” or the “Company”) today confirmed receipt of Broadcom Limited’s (NASDAQ: AVGO) nomination of a slate of candidates to replace Qualcomm’s existing Board of Directors at the Company’s 2018 Annual Meeting of Stockholders. Qualcomm is exceptionally well positioned – with technology and leadership positions across mobile, IoT, Automotive, edge computing and networking – and leading the transition to 5G. Qualcomm stockholders are poised to participate in substantial growth and value creation as the Company continues to execute its strategy across its businesses. Broadcom and Silver Lake are effectively asking stockholders to foreclose options and make a decision now on a non-binding proposed transaction which could not be completed for well over a year, if ever, given the magnitude of regulatory issues, the absence of commitments by Broadcom to resolve those issues, Broadcom’s lack of committed financing, and the uncertainty surrounding its transition from Singapore to the United States. Qualcomm’s Board is composed of 11 world-class directors, 9 of whom are independent and 4 of whom have been added in the last 3 years, and all of whom are firmly committed to acting in the best interests of all Qualcomm stockholders. Qualcomm believes that this action is a blatant attempt to seize control of the Qualcomm Board in order to advance Broadcom’s acquisition agenda. These nominees are inherently conflicted given Broadcom’s desire to acquire Qualcomm in a manner that dramatically undervalues Qualcomm to Broadcom’s benefit. On November 13, 2017, Qualcomm’s Board of Directors unanimously rejected Broadcom’s non-binding, unsolicited proposal to acquire Qualcomm for per share consideration of $60.00 in cash and $10.00 in Broadcom stock. After a comprehensive review, conducted in consultation with its financial and legal advisors, the Board concluded that Broadcom’s proposal dramatically undervalues Qualcomm and comes with significant regulatory uncertainty, and therefore is not in the best interests of Qualcomm stockholders.